The advancement of technology is truly bittersweet. One the one hand, technology has made our lives incredibly convenient and simple, but on the other hand, it has led to the emergence of more privacy concerns and security threats that didn’t exist just decades ago. Last month, tests were carried out at the White Sands Missile Range in New Mexico by firms such as Boeing and Lockheed Martin, the latter of which tested an incredible new laser weapon system called “Athena” that is capable of taking down an enemy drone with a single blow. Additionally, Athena can be mounted on top of tanks and other ground-based military vehicles, and may one day be installed on military planes, helicopters and ships as well. But while drones do pose a significant threat to national security both domestically and overseas, that doesn’t mean that the United States can’t fight fire with fire and use weaponized drones against our own enemies. In fact, many lawmakers in the state of Connecticut see the use of lethal force from above as the future of law enforcement. 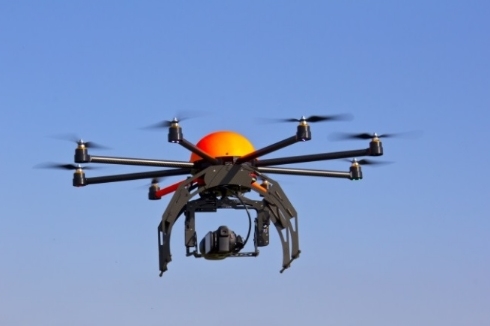 Earlier this year, House Bill 7260 made its way through the halls of Connecticut’s congress building, which would have allowed police officers to use weaponized drones in order to hunt down dangerous criminals and enforce the law out on the streets. “We have to be able to fight fire with fire,” explained state Senator John Kissel at the time, a Republican co-chair of the Judiciary Committee. “The use of weaponized drones isn’t going to go away because we don’t like it, so we have to do something now.” Unfortunately, House Bill 7260 did not get passed Congress and become law in the state of Connecticut, but still, it is a good indicator that weaponized drones in law enforcement may very well one day become reality. Perhaps there is another major benefit to technology other than the obvious fact that it makes our day-to-day lives more convenient: It forces our country to continue thinking of new ideas and new ways of doing things, thus propelling our society as a whole forward into the future.